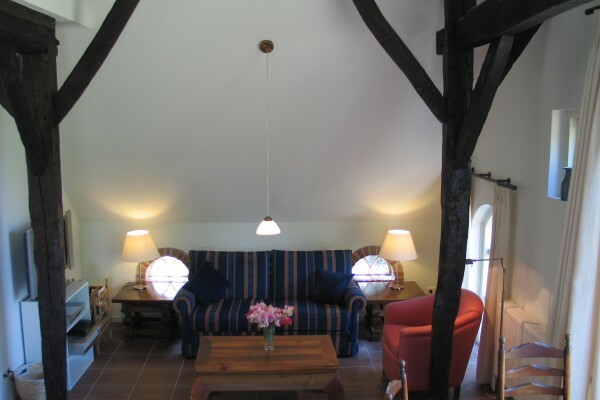 B&B De Kleine Kolonel hosts up to four guests. The cottage, with its characteristic thatched & tiled roof, is an independent accommodation located next to our former farm house. De Kleine Kolonel has a sunny south facing terrace, while a large orchard with oak and horse chestnut trees provides plenty of shade and space to relax. 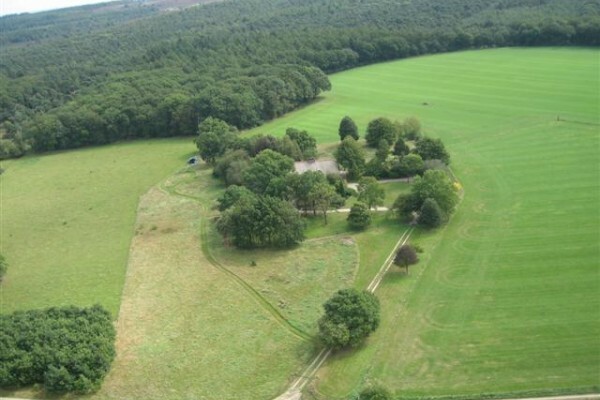 Parking space is available immediately adjacent to the accommodation. Inside you will find a comfortable lounge, a kitchen and two bedrooms. Each bedroom has its own private bathroom equipped with floor heating, full bath, shower, basin and toilet. The former coach entrance offers a spectacular view of the gardens, the neighbouring fields and the distant forest. Breakfast is served by this window. Whenever the weather permits breakfast is served outside on the terrace. The kitchen is equipped with all the latest conveniences fridge, cooker, oven and microwave. The lounge offers a comfortable seating area, a bookcase, TV, CD player, as well as a DVD player with an extensive choice of movies. Everything to ensure you have a enjoyable and comfortable stay. The bedrooms offerPullman“boxspring” beds. These can be placed as either a double or two single beds. Please let us know in advance (at reservation) which arrangement has your preference. One bedroom is at ground level, the other has an internal staircase between the bathroom (downstairs) and the upstairs bedroom. 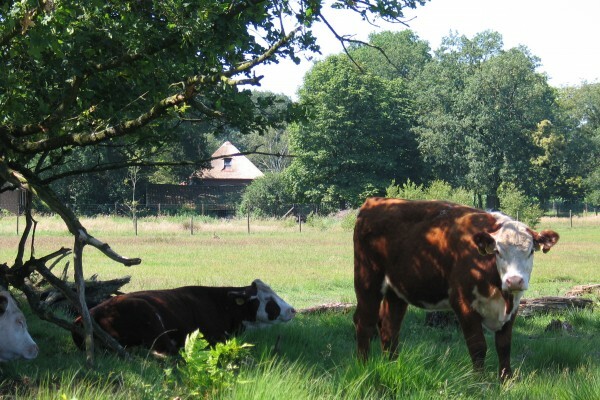 Both bedrooms are located at the rear of the building overlooking the wild pastures of the National Park. Possible with advance notice at Euro 30/person. No experiences yet with B&B De Kleine Kolonel. Be the first! Did you stay in B&B De Kleine Kolonel? Let us know what you thought about it and help others to make the right choice! * I confirm having stayed in B&B De Kleine Kolonel. 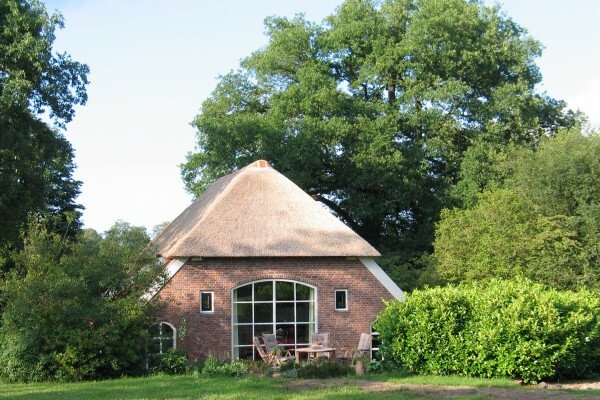 Find other bed & breakfasts in Haarle or all bed & breakfasts in Overijssel.